When it comes to Austria, most people think about Vienna or Salzburg, but they are missing another jewel in the crown of this now small country, once heart of a huge empire. Graz, Austria’s second largest city. 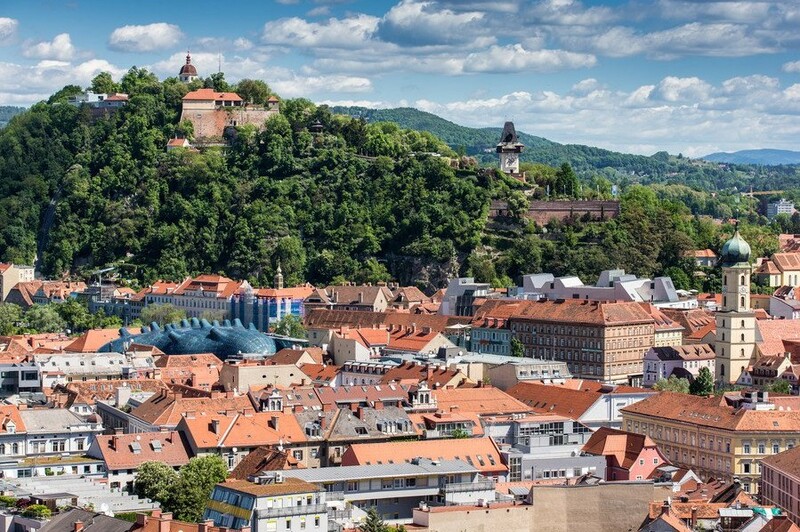 Situated at the southeastern border of the alps but accessible through a nice low airway, Graz is a wonderful town full of history, great restaurants and culture. Perfect for a weekend trip. Please register early as there is no charge. We will share costs, like food and museum entrances after the event. 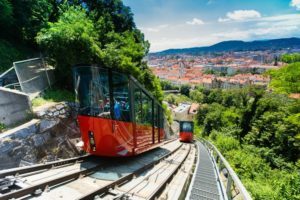 Apart from the inner city the area offers outdoor activities such as hiking, climbing, biking, golf, skiing (in the Alps bordering the city to the north) and plenty of excellent cuisine, relaxation and wine in the vineyards bordering Graz towards the south. Graz Airport, handling ca. 1 Million passengers a year, is comprised of all forms of aviation, from gliders and parachutists to flight training, private SEP and MEP aircraft, business jets, plenty of airline conncections and the occasional widebody freighter. Cheap fuel and a 5+1 landing package for 26€ is available just 10 flying minutes south of Graz at Maribor LJMB. Thanks to major renovations it is one of the most aesthetic and efficient regional airports in the world, and by the way, the main terminal building is shaped like a giant wing, an architectural homage to flying. You will appreciate the “relaxed” and discreet separate crew/pilot channel allowing airside access within seconds. Graz enjoys a rich history, yet is at the same time bursting with modern life. It would not be an exaggeration to describe Graz as a city of opposites: its magnificent buildings bear witness to over 850 years of architecture in the city, such as the Landhaus, also home to the Styrian Armoury and its 30,000 weapons and suits of armour, the cathedral and the mausoleum, Schloss Eggenberg and the Grazer Burg with its double-spiral staircase. These ancient edifices merge in unique harmony with state-of-the-art works by internationally renowned architects, some from the Graz School, such as for example the Kunsthaus Graz, Joanneumsviertel or the greenhouses in theBotanical Gardens.